SMS Band invites you to "A Festive Night of Music". December 18th @ 7pm in our Auditorium. 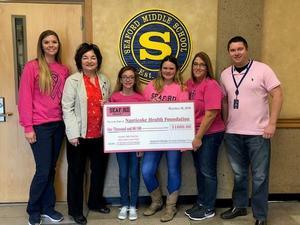 PBIS presents November's Reward for students without any referrals or infractions to our, Let's "Glow" Crazy Dance on Friday, December 7th, 2018 from 6pm-8pm. Tickets go on sale 12/3 - 12/7 during lunch shifts. 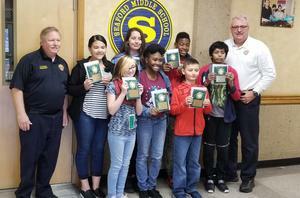 Seaford Fire Department selected several SMS students as winners for their Fire Prevention Essay contest. Congratulations! 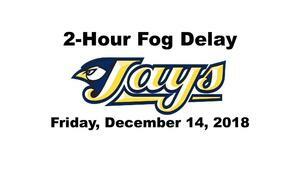 The Seaford School District will open schools two-hours late this morning Friday, December 14th. Breakfast will not be served today, so please provide your child with a healthy breakfast at home. There will be no 3-year-old half day am pre-k today but full-day pre-k is to report two-hours late. Please travel safely. Thank you. SMS is proud to present a Winter Chorale. Featuring the music of: Part, Miller Holst, Pinkzebra, Howe and more! December 4th, 2018 @ 7pm in our Auditorium. Parking is available behind the school. Hope to see you there! 11:00am - 7:00pm. Please contact your student's teacher for an appointment.